This is a lovely country property in a perfect location as its set in the heart of the countryside with great views all around and good access off the main road. 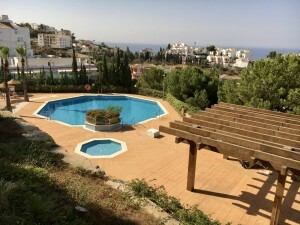 Located just outside the village of Ventorros de San Jose this property has been lovingly reformed to offer 3 bedrooms - all with ensuite bathrooms - and one of them has its own private entrance off the main courtyard so just ideal to offer as a small B and B. There is a lovely fully fitted modern kitchen, plus charming sitting room and cosy dining room. The house is laid out so you can access the upstairs from the outside, again making it totally private. But, here is the special part - the amazing swimming pool! 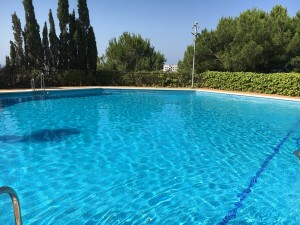 If you like to swim rather than just take a dip to cool off, then this is for you. Not only does it have a solar cover so you can use in the winter but its the size that makes it so special. 20m x 4m...yes 20m x 4m...so proper swimming here! So what a great place to offer for holidays. 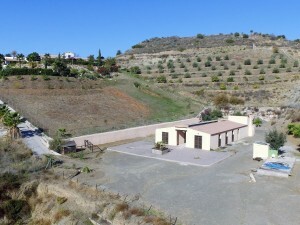 The house has oil fired central heating too plus a large plot of land of 2,800 sqm with olives and other trees. There are some nice garden areas too with plenty of parking. 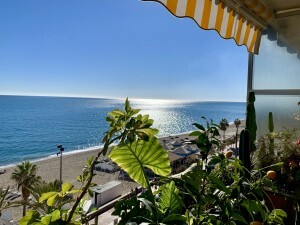 This is a special property that needs to be viewed.